Are you an American? Have you signed up for an account at IRS.gov? If not, you should take action and do so right away. Krebs on Security is reporting that criminals are fraudulently creating accounts in taxpayers’ names to further a scheme to steal tax refunds. Earlier this year, Techlicious reported a sharp increase in fraudulent tax filings. In the most common scheme, a criminal creates an IRS.gov account in the victim’s name. They then access the victim’s 2013 tax return to accurately list their employer and salary on a fraudulent 2014 return. That return is e-filed with a request for an artificially inflated tax refund. The stolen cash is direct deposited into the account of a naive mule recruited off of Craigslist, who is tricked into sending the money to Nigeria via Western Union money orders. 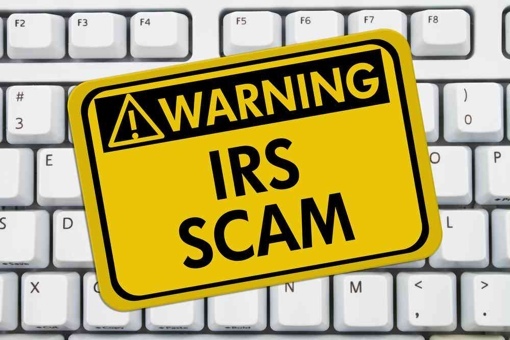 Making matters worse, having your IRS account in the hands of criminals also makes it more difficult to report the fraud to police and financial institutions in a timely manner. Per IRS policy, fraudulent transfers are only reported to law enforcement after the filing of forms and the conclusion of the resulting investigation. Having access to your IRS.gov account allows you to obtain the routing number and account number the criminal used, letting you report the crime yourself. Having a criminal file a tax return in your name is a huge hassle – it will delay your ability to file your legitimate return and obtain any refund you rightfully deserve. Creating an account at IRS.gov won’t guarantee you won’t become a victim, but it will make the crooks’ jobs harder. If you haven’t created your account yet, do so now to better protect yourself. If you believe that you have been a victim of tax fraud, the IRS has set up a special hotline to help you deal with reporting the issue. You can reach the IRS Identity Protection Specialized Unit by calling 800-908-4490. Yes, maybe Fox should give this a try….I emailed the IRS, we’ll see what they say. Thank you for the info. I’ve checked the IRS website, but I don’t see where you can create an account and that information is not included in your article. You have to go to the IRS site and commence a request for a transcript of your return. The first step is to create an ID- follow the steps (you don’t actually have to request the transcript). Fox should have been more explicit. Thanks Susan, took about 5 minutes to take care of it!!! I’m sorry, the process does require a bit more explaining. Hopefully I can clear this up, but a big thanks to Susan for chiming in with the right link. The identity verified account creation process is not immediately available via a link on the front page of IRS.gov website. Under Create a Login, click “Get Started.” The IRS site will then work you through a 6-step account creation procedure in which you verify your identity. The process uses a soft inquiry on your credit report, so note that you may need to have financial records on hand to complete it. When the process is complete, you’ll have created a login with the IRS that links a user name, password, identity and e-mail. If a criminal completes this process before you do (and that’s what they’re doing, these ID verification steps are too easily compromised), the IRS cannot immediately give you a new account. They can, however, freeze an imposter account if necessary. Creating this ID verified account with the IRS probably won’t stop 100% of the tax fraudsters, but it does disrupt their current operating procedure. That should significantly drop your risk until the government employs a more secure and visible procedure for this. If a couple files a joint return, do you need to request transcripts and create accounts for both SS#‘s? We filed a joint return by mail in February, but apparently someone filed online before us and the IRS sent them 4X what our refund would have been. We were told that it could be 6 months before we see our refund and they will not give us any information on who might have done this, or what they are doing about it. We had to file numerous reports including a local police report, send them copies of our passports, etc., and they can’t even let us know what is going on. This is FUBAR!! Time consuming ridiculous headache!! Jumped through all their hoops for their mistake and we are still waiting on the money they owe us. We should be able to charge them the loan shark style fees and interest they would charge us if situation were reversed. Ridiculous SNAFU. The IRS is finally trying to get a handle on these abuses, but to say the horse is already out of the barn is an understatement.